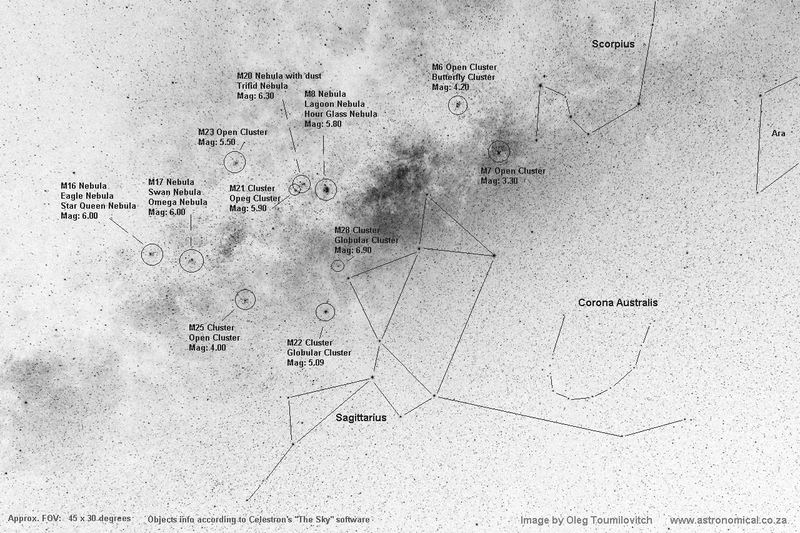 Sky chart No.02 SAGITTARIUS AND SURROUNDING REGION. This single 3-minute image was acquired from a dark sky site in Waterberg , South Africa. 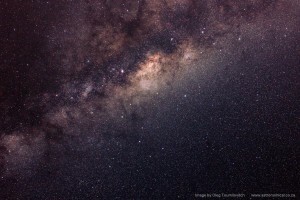 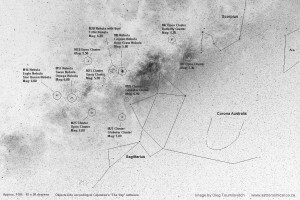 Image is centered on constellation Sagittarius and includes vast region around the center of Milky Way. 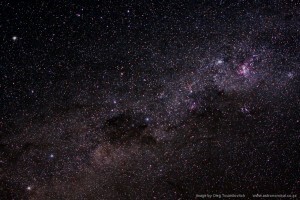 The area between Eagle Nebula (M16) and the tail of scorpion (constellation Scorpius) includes large number of most photographed bright deep sky objects such as nebulae, open and globular clusters. 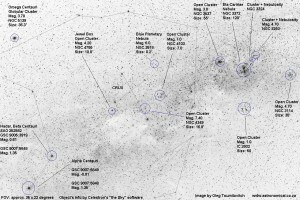 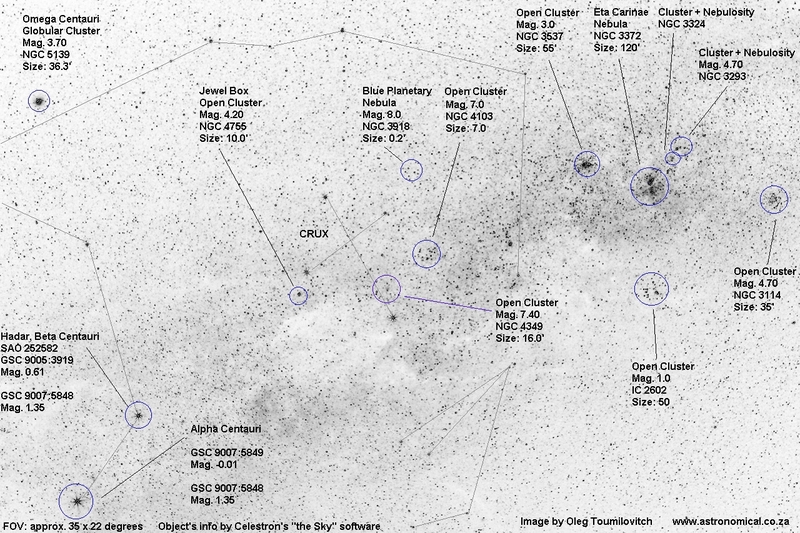 Most of all noted objects are observable from urban area through small to large-sized telescopes. 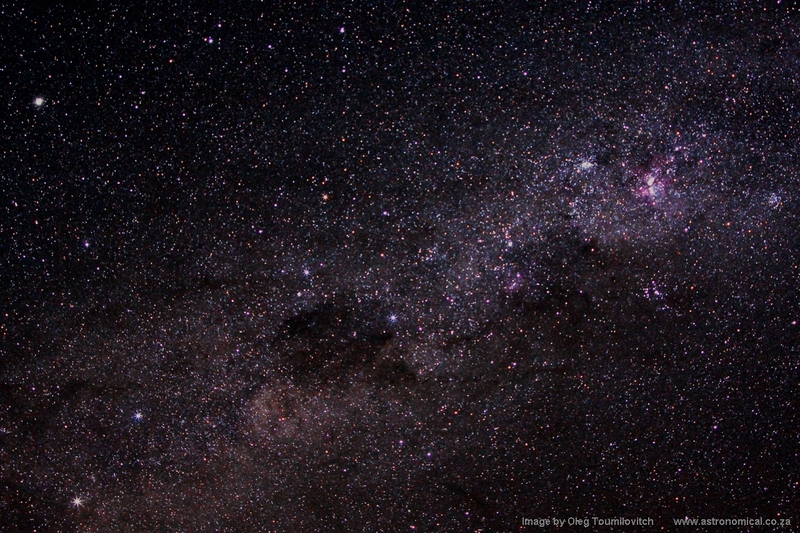 Light Pollution Reduction filters as well as Ultra High Contrast filters are recommended for observing and imaging from urban areas.